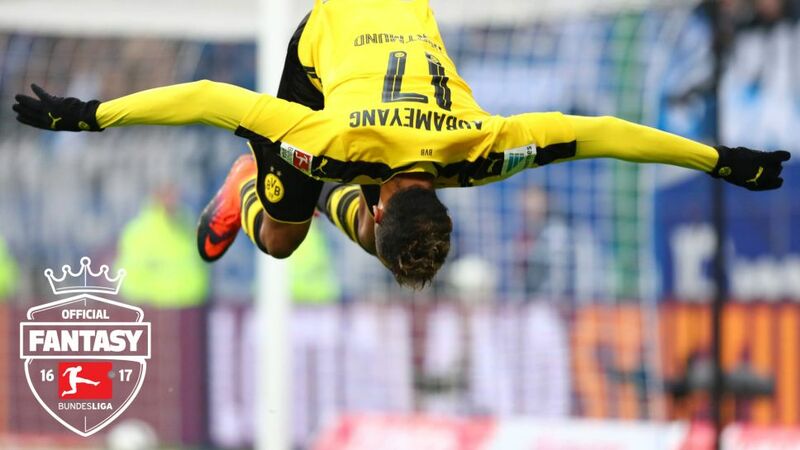 Pierre-Emerick Aubameyang impressive performance played a big part in xxELITE-TEAMxx taking top spot in the Autumn League after Matchday 10. The Official Fantasy Bundesliga Autumn League turns the clock back and gives players the chance to start from scratch. Anyone who registers a new team by 18 November will automatically be entered into the Autumn League, with points from first nine matchdays not included. The user 'xxELITE-TEAMxx' took full advantage of that opportunity and currently leads the Autumn League standings on 135 points. We take a closer look at his table-topping side and analyse what strategy was used to reach the summit. The first thing that stands out about this team is that apart from substitute goalkeeper Tom Starke, there are no FC Bayern München players present. Instead, the backbone of the side is made up of four of this season's surprise packages: RB Leipzig, Hertha Berlin, Eintracht Frankfurt and 1. FC Köln, with 11 of the 15 players hailing from that quartet. xxELITE-TEAMxx made the best possible choice in this regard on Matchday 10; after all, captains earn double points. Following Aubameyang's internal club suspension for the UEFA Champions League earlier in the week, there was no guarantee he would start away to Hamburger SV, much less score four goals. Yet the decision to make the Gabon international captain paid rich dividends, as he alone was responsible for 50 of xxELITE-TEAMxx's 135 points. No Official Fantasy Bundesliga player has ever earned more on a single matchday this season.